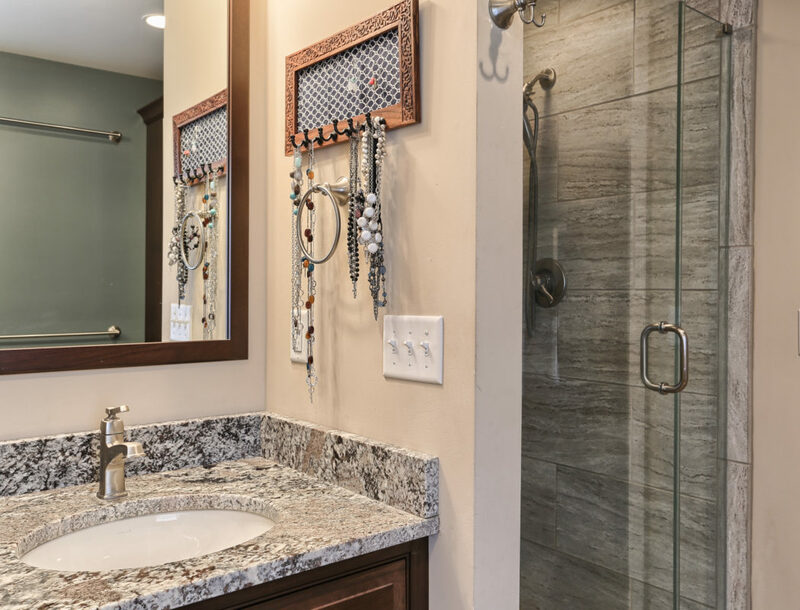 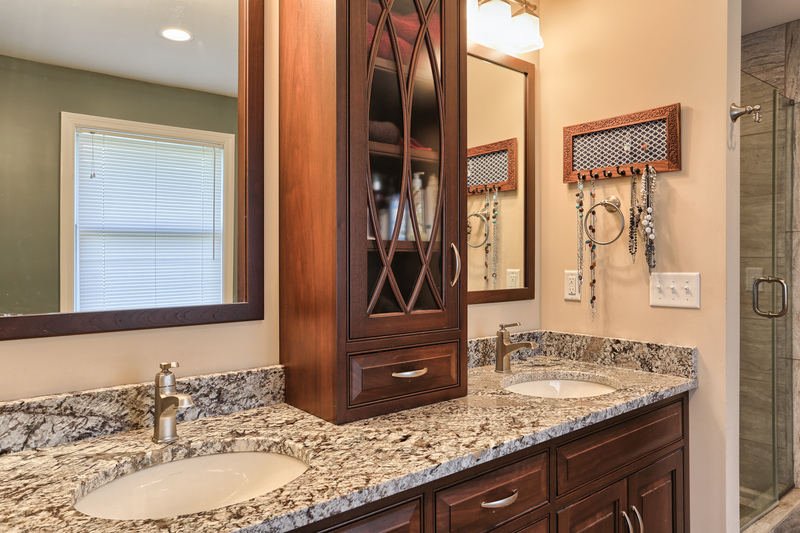 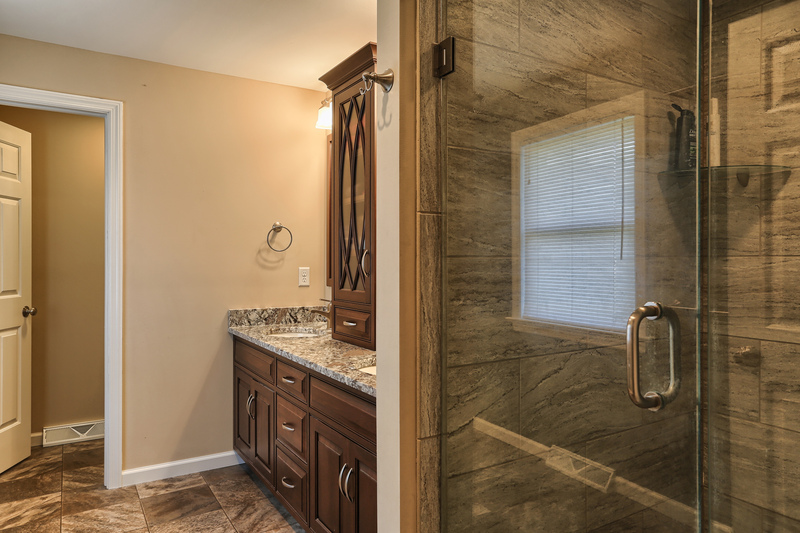 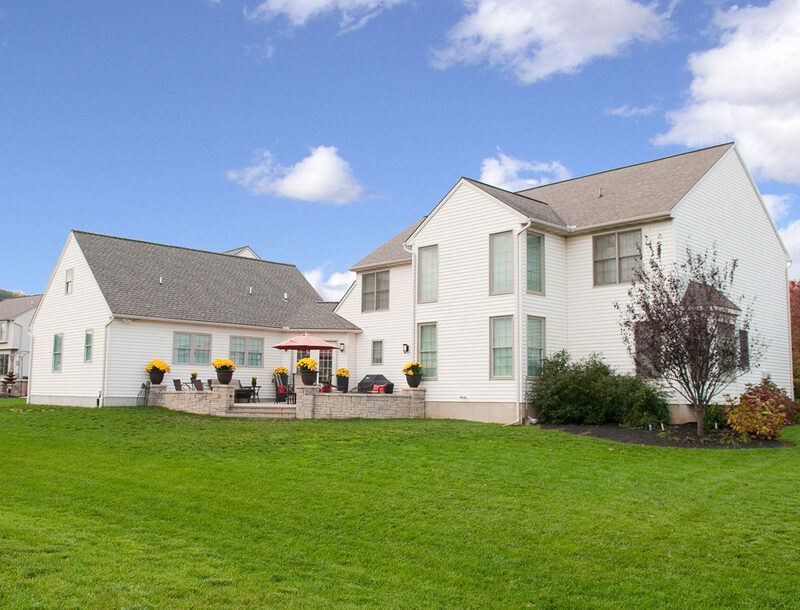 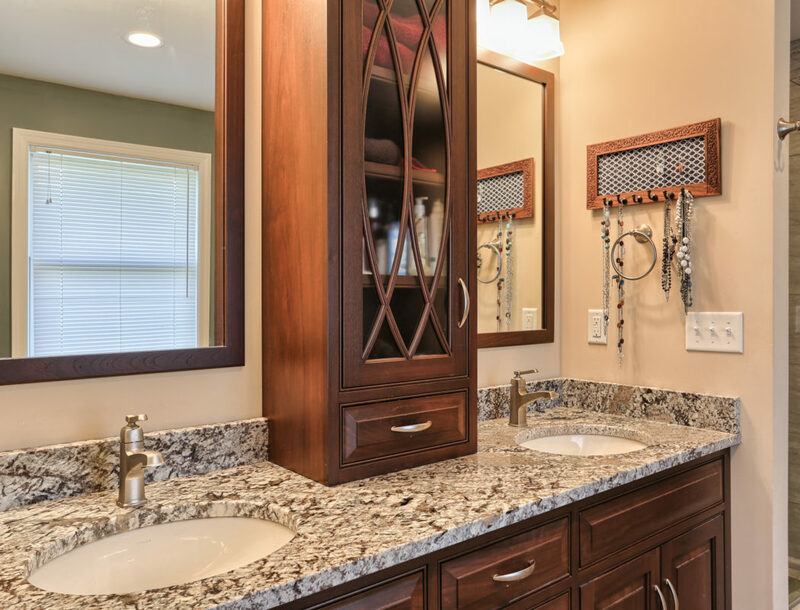 At Metzler Home Builders, we take great pride in our all our projects. 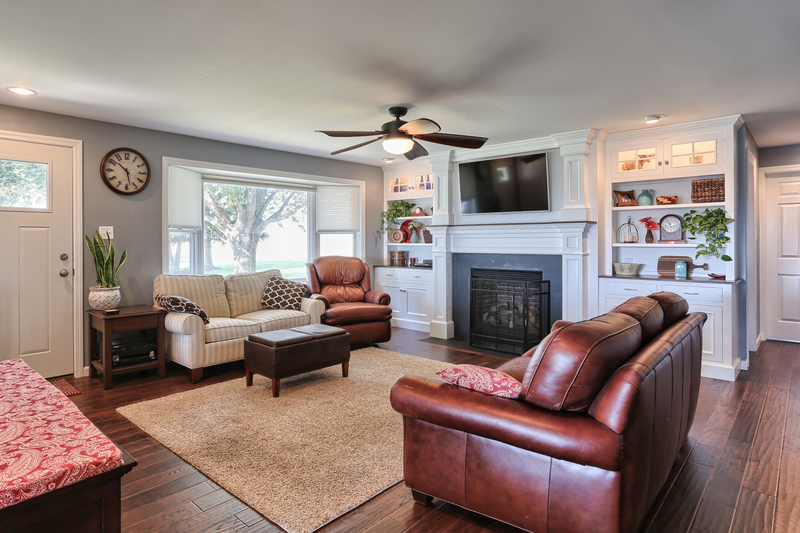 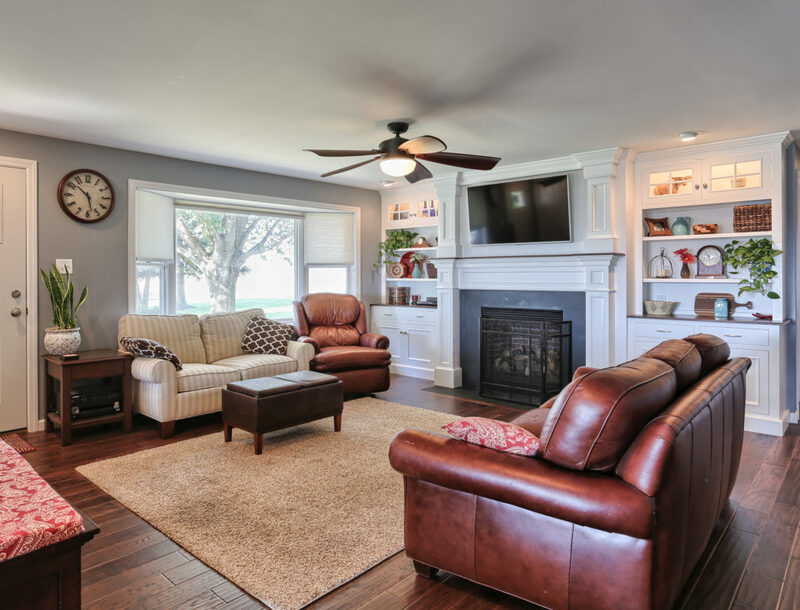 For many of our clients, renovation is the best option because it allows them to stay in the home and the community where they’re already happy. 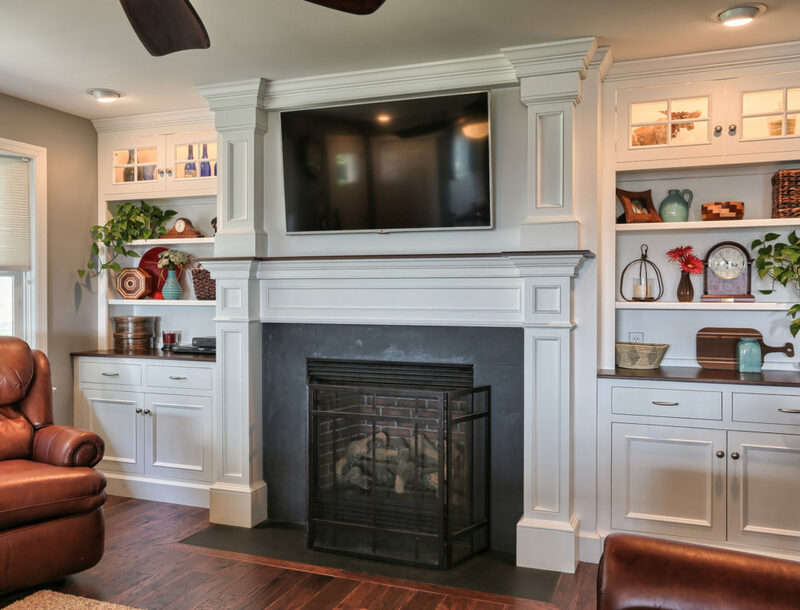 Below you can read about a few home additions and a whole house renovation that we are highlighting as featured projects. 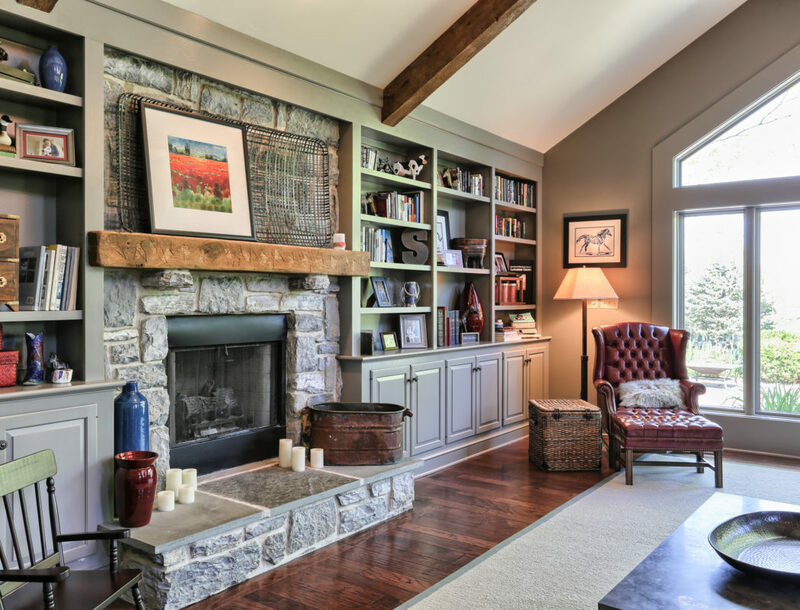 Andrew and Kate purchased and moved into a beautiful old stone home. 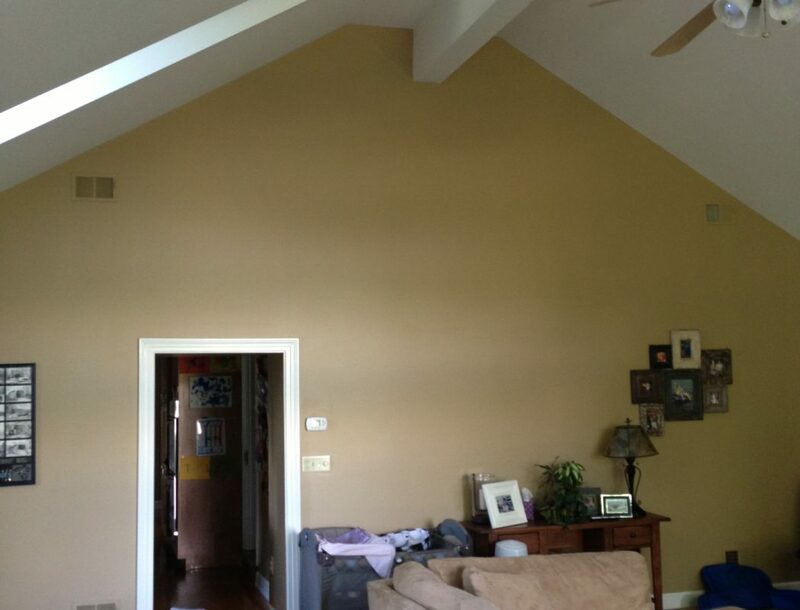 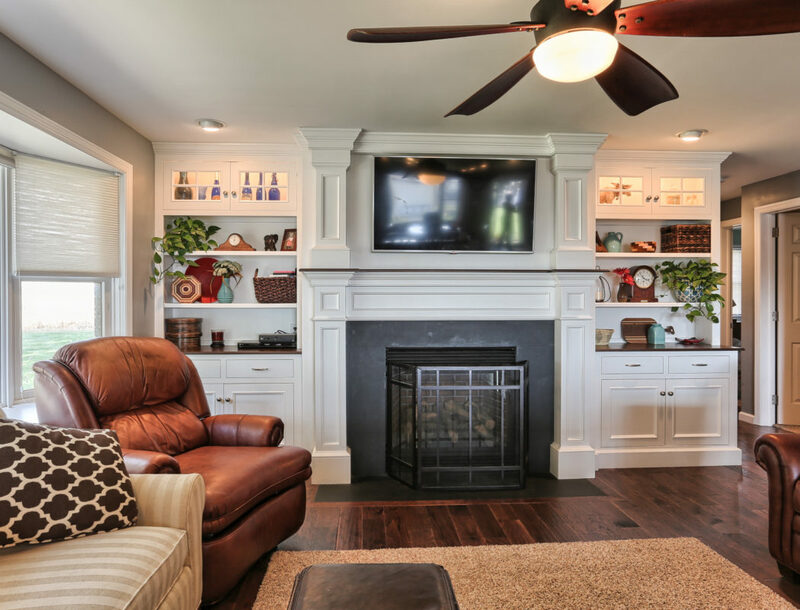 The previous owners had added a family room to the end of the home. 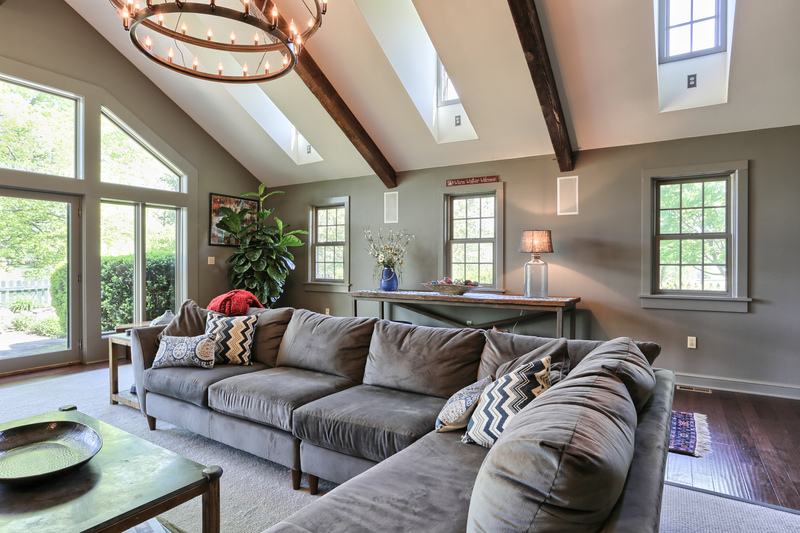 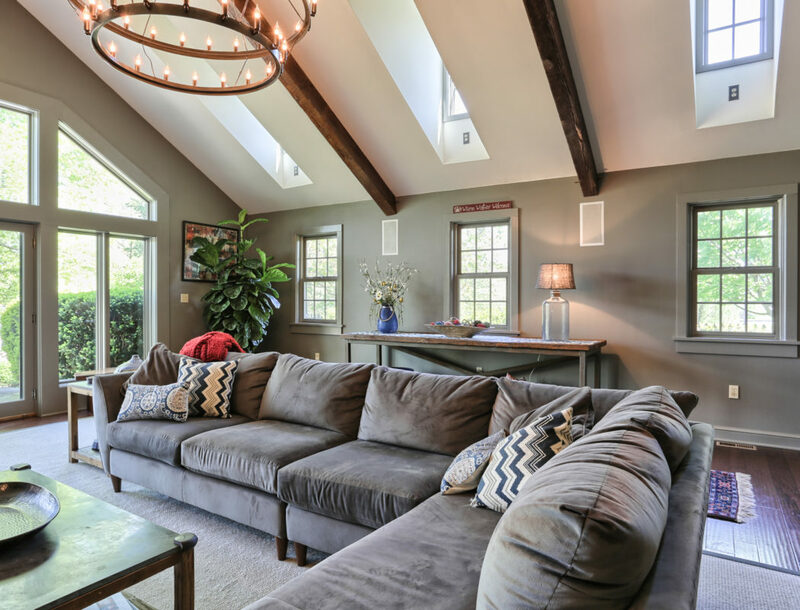 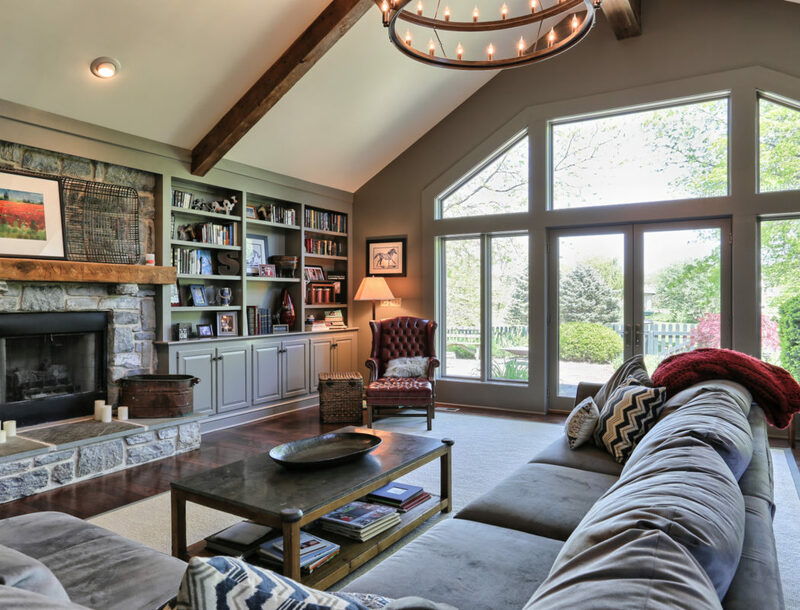 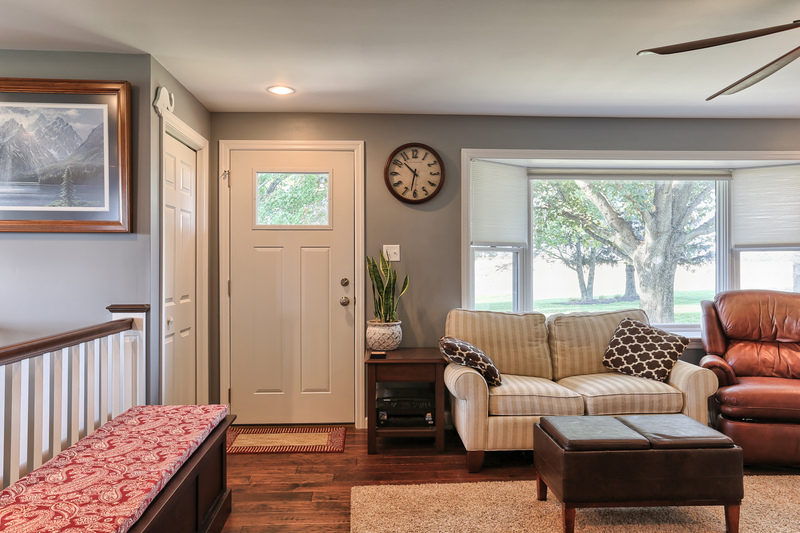 Andrew and Kate desired to update the interior of the 1980’s family room addition to blend with their circa 1779 home and become a space the whole family could enjoy. 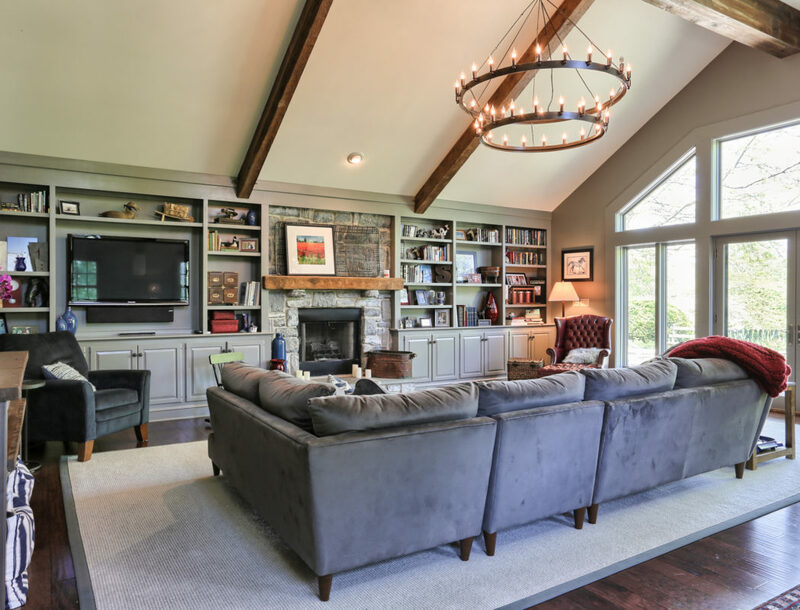 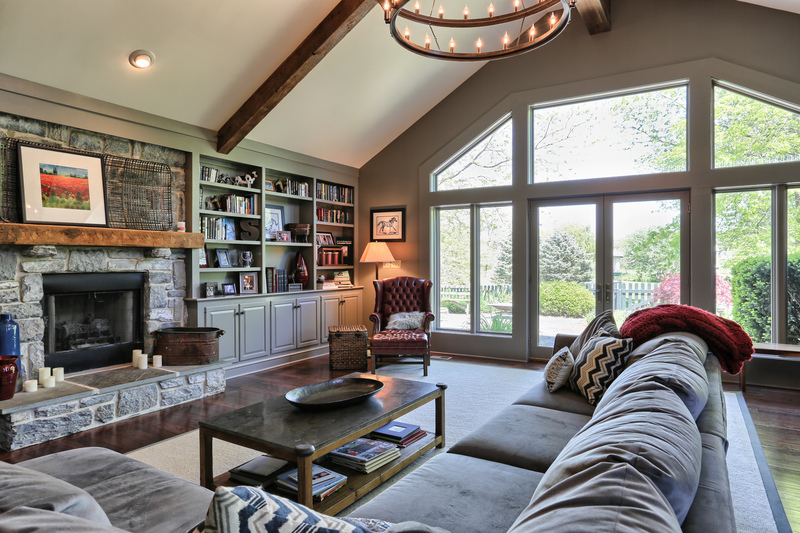 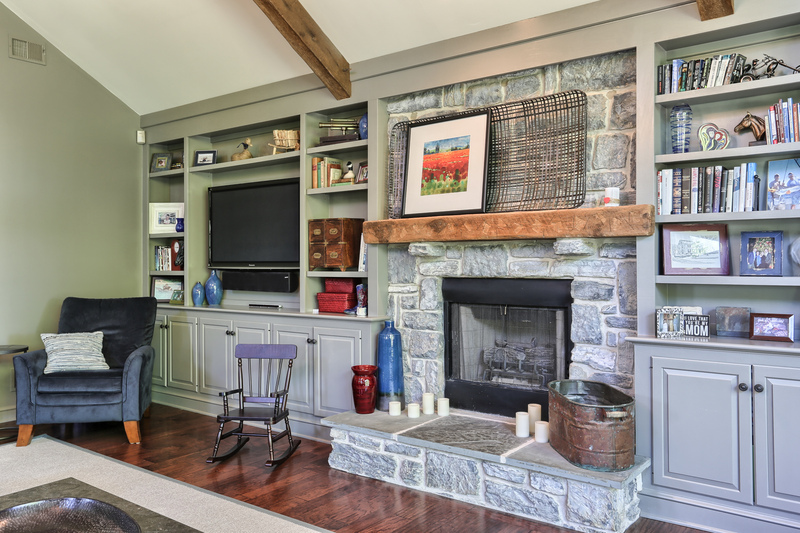 To bring the family room closer to matching the architectural style of the stone home, an overall renovation was needed. 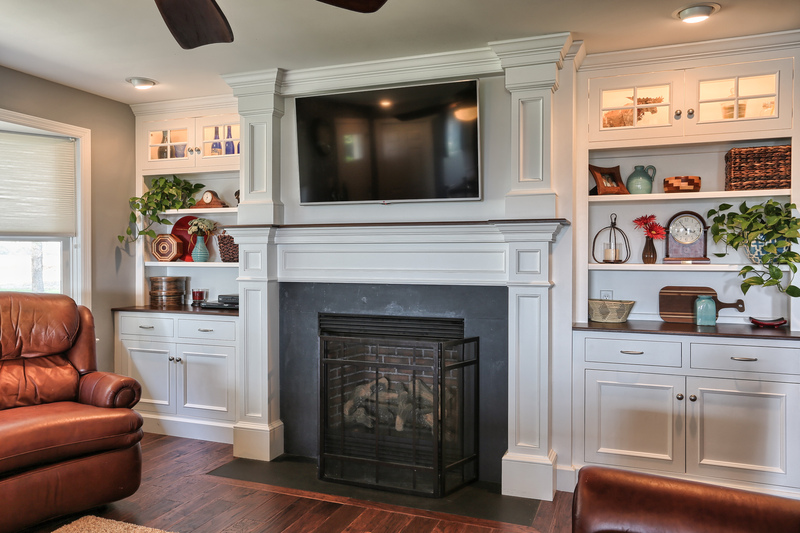 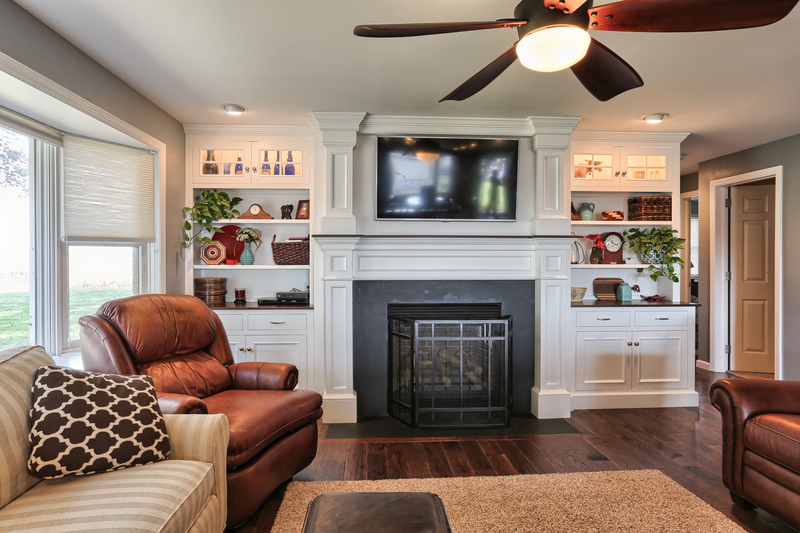 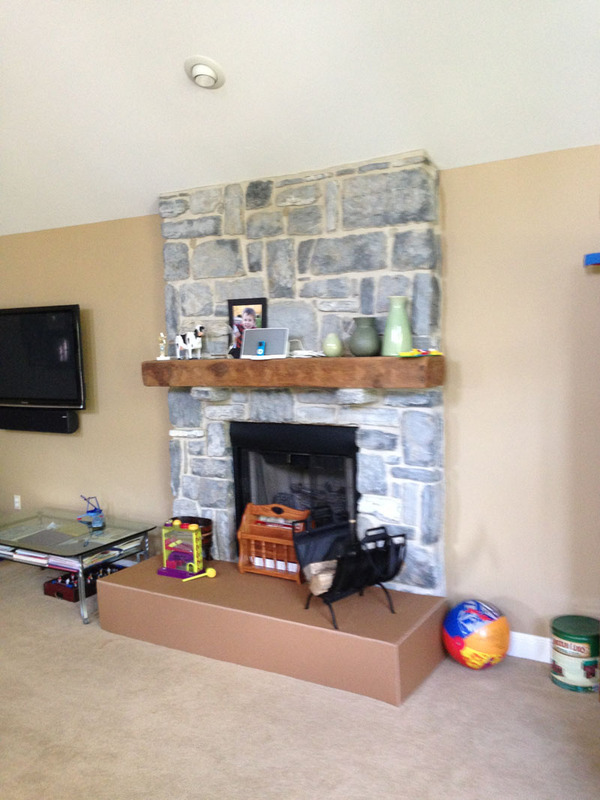 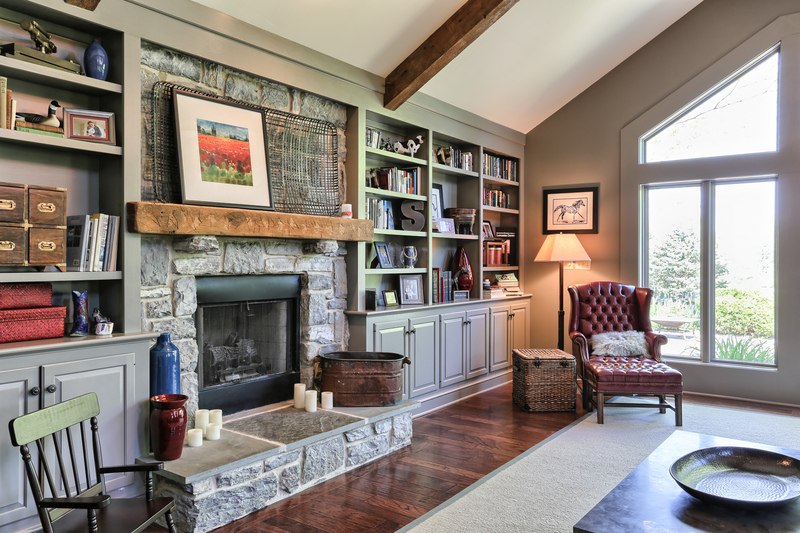 The stone fireplace, which is the anchor in the room, was enhanced with a wall of cabinetry. 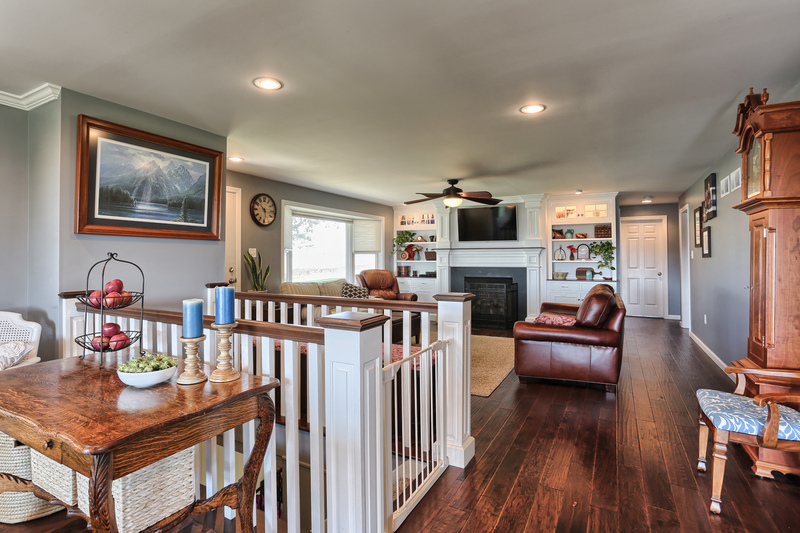 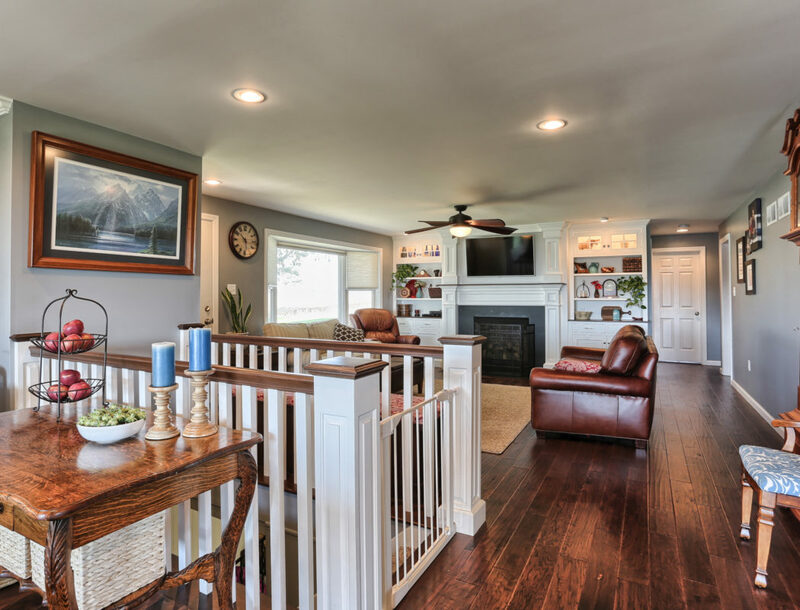 The carpeting was removed and wide plank distressed flooring was installed to coordinate with the original home. 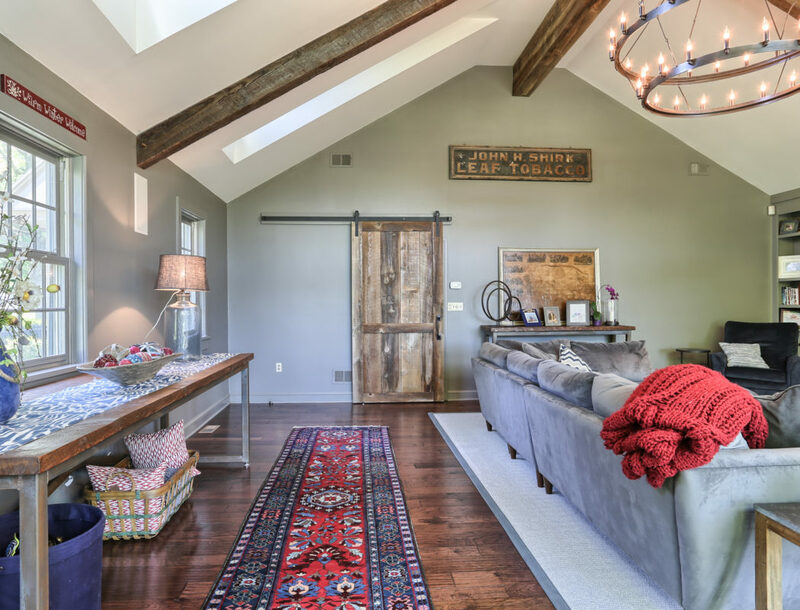 Reclaimed wood was hand selected to encase the ridge beam, and beams with wooden pegs were added. 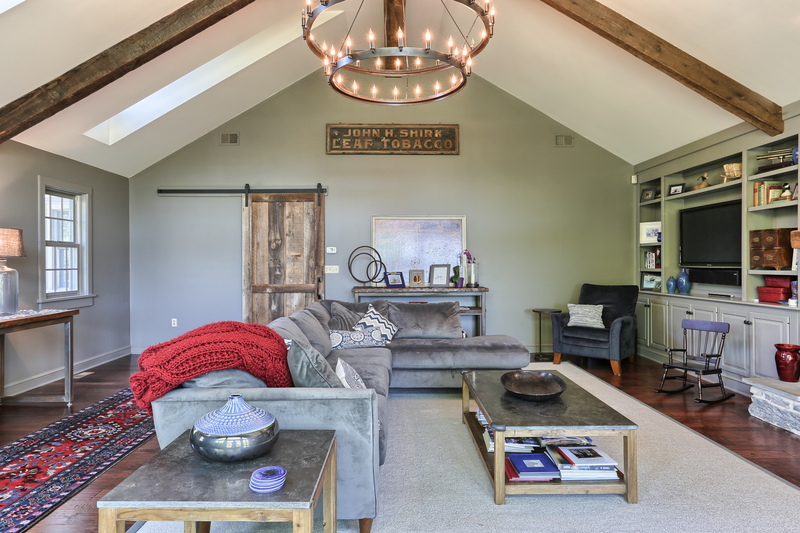 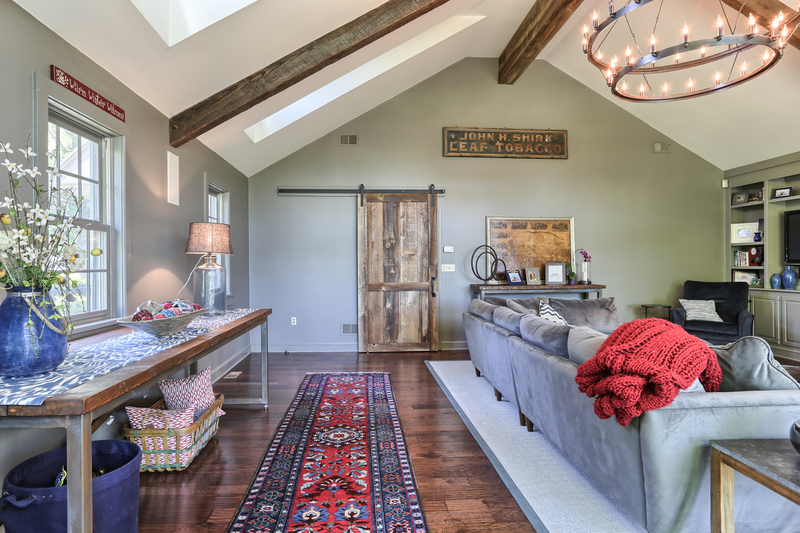 Also crafted from the reclaimed wood, the sliding barn door accentuates the entry from the kitchen into the family room. 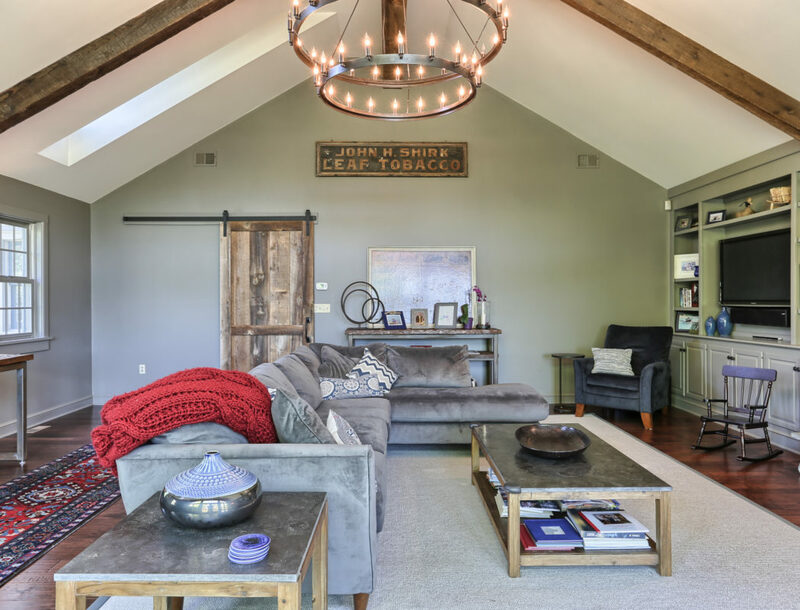 The earthen colors and period chandelier are perfect finishing touches to this stunning room that Andrew and Kate and their family will enjoy for years to come. 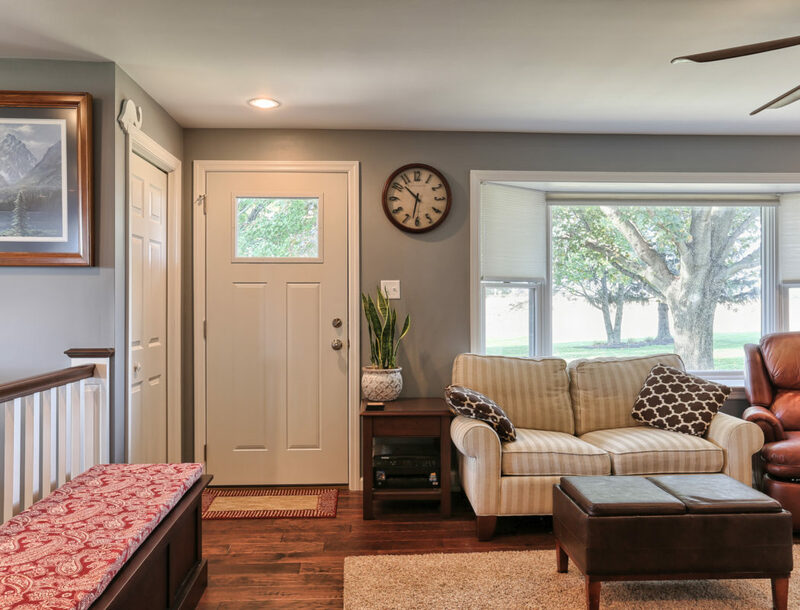 Ryan and Kristen’s plans were to move into the house Ryan grew up in, but making changes to the home were vital before that could happen. 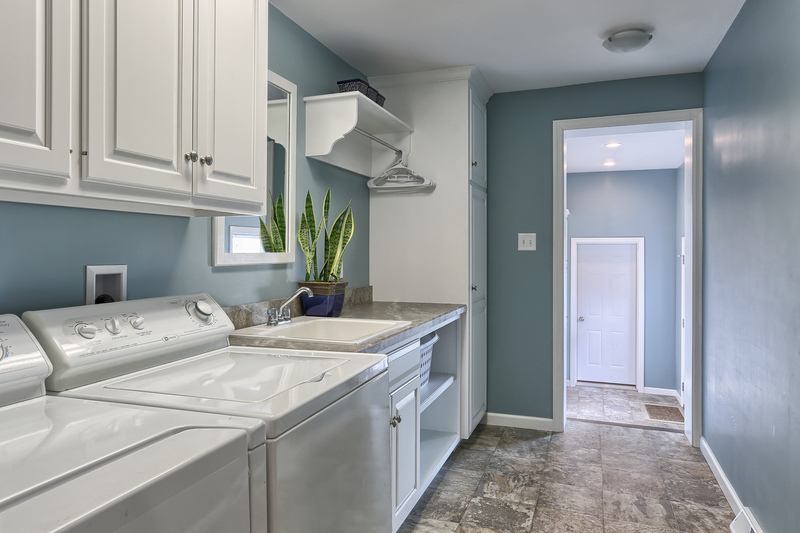 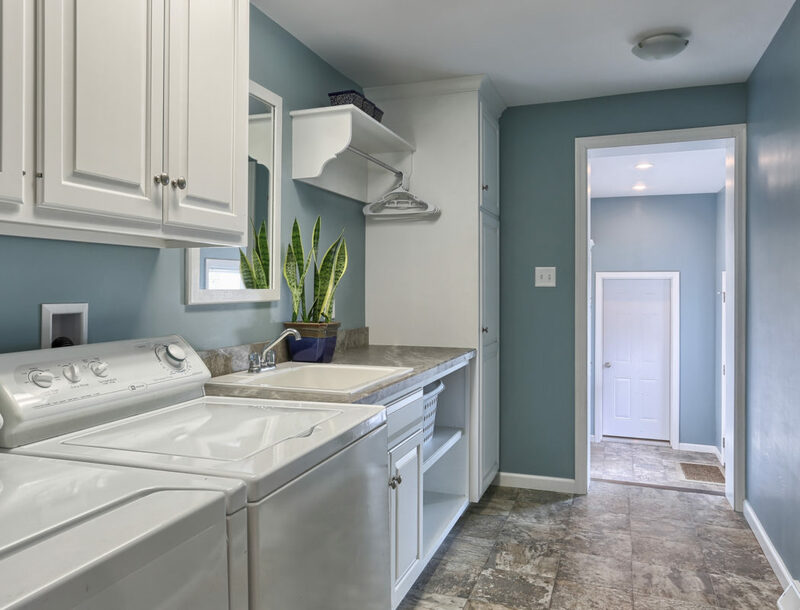 On their list was renovating the floor plan to create an open living space and reconfiguring spaces for a functional laundry and comfortable master suite. 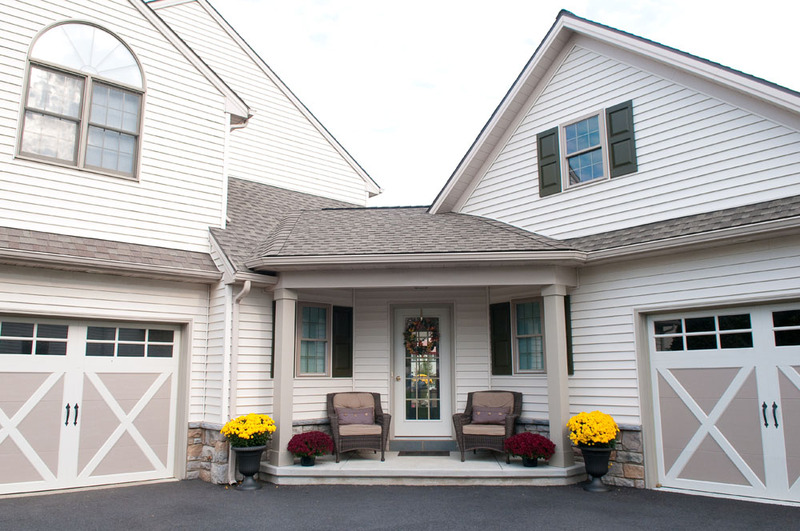 An addition designed to connect the house and the garage made the list as well. 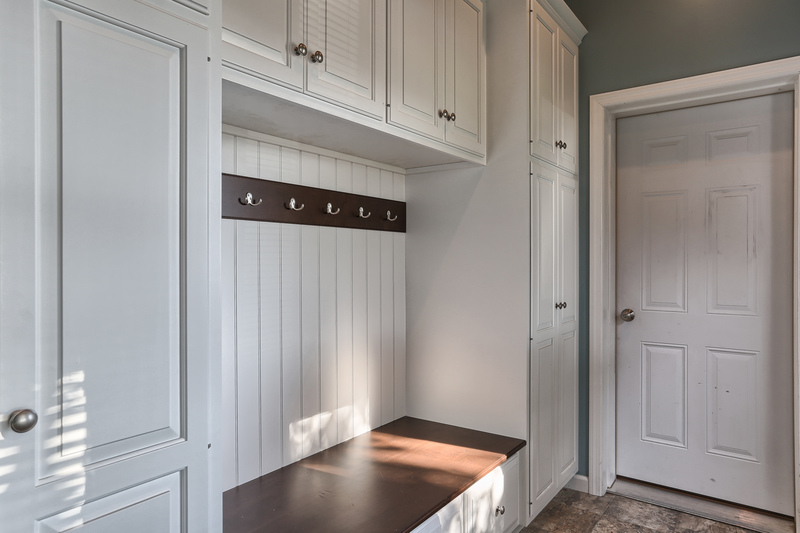 This allowed entry to a mudroom and space to incorporate the master bath. 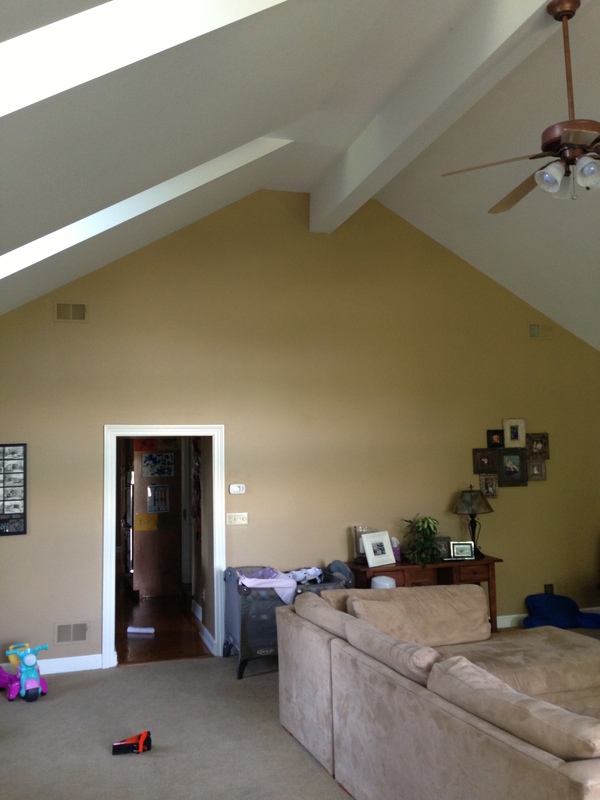 Walls which confined several spaces, including the stairway, were removed to allow uncluttered visibility and grander living space. 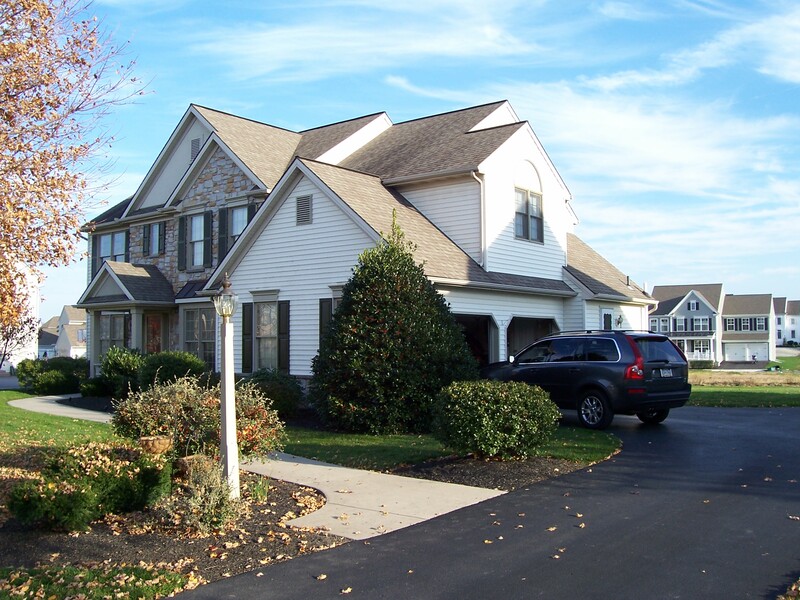 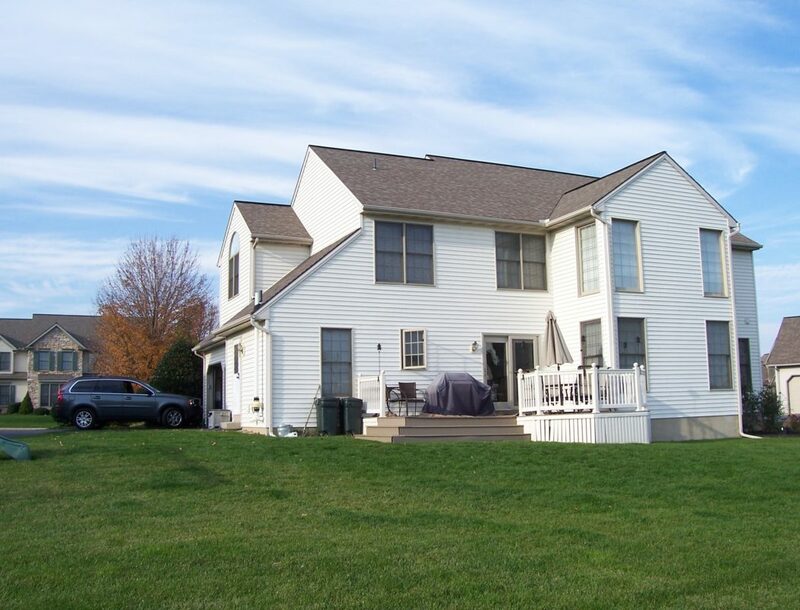 Tom and Michelle resided in a two-story home near Lancaster with their family, but wanted to add living space to the home so Tom’s mother could also live with them. 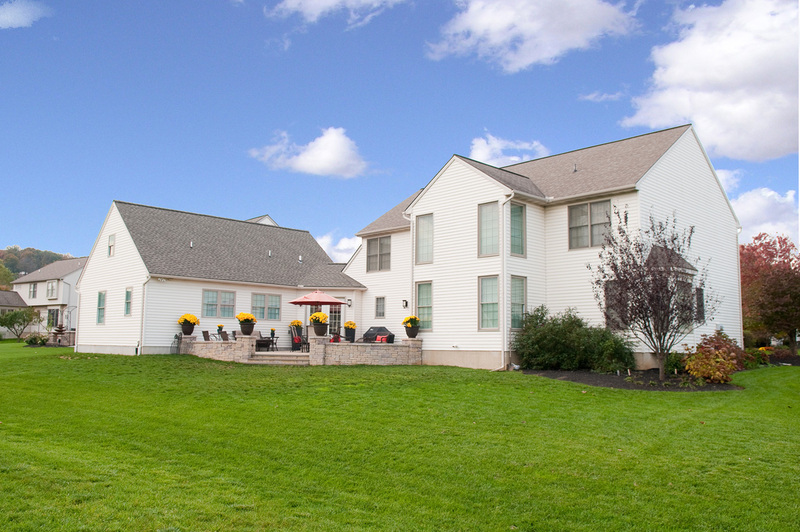 They came to Metzler Home Builders with a list of key aspects they desired in their addition project. 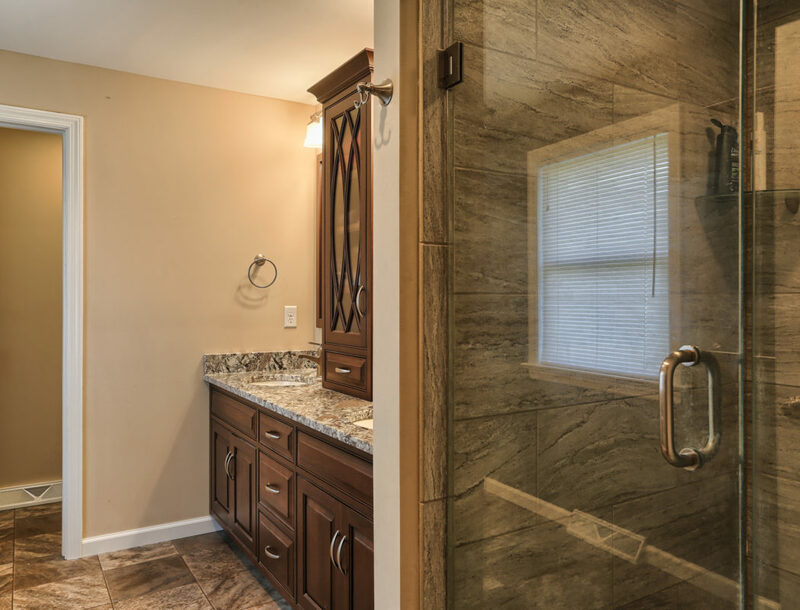 Their list included adding a full suite with a kitchen, living area, bedroom, bath with accessible shower and a one car garage. 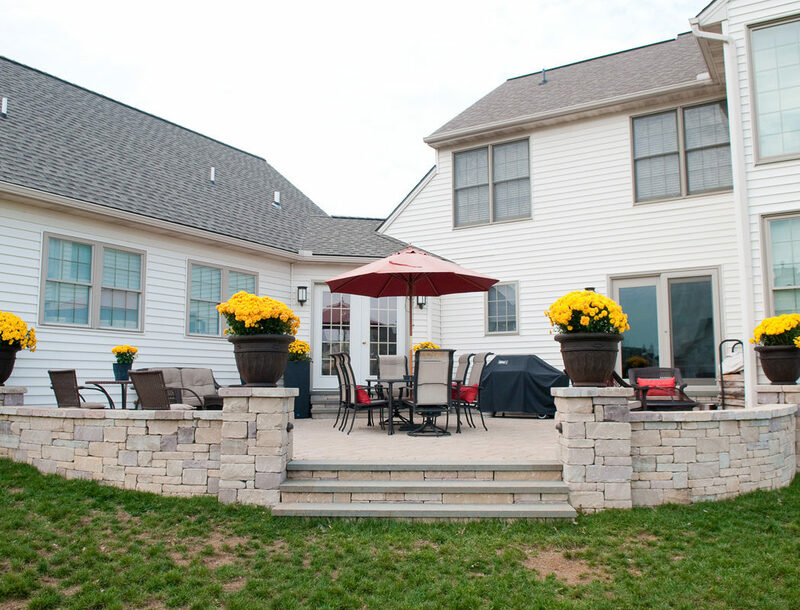 Maintaining the view of their backyard was important to them, as well as having the appearance of the addition blend with the current structure. 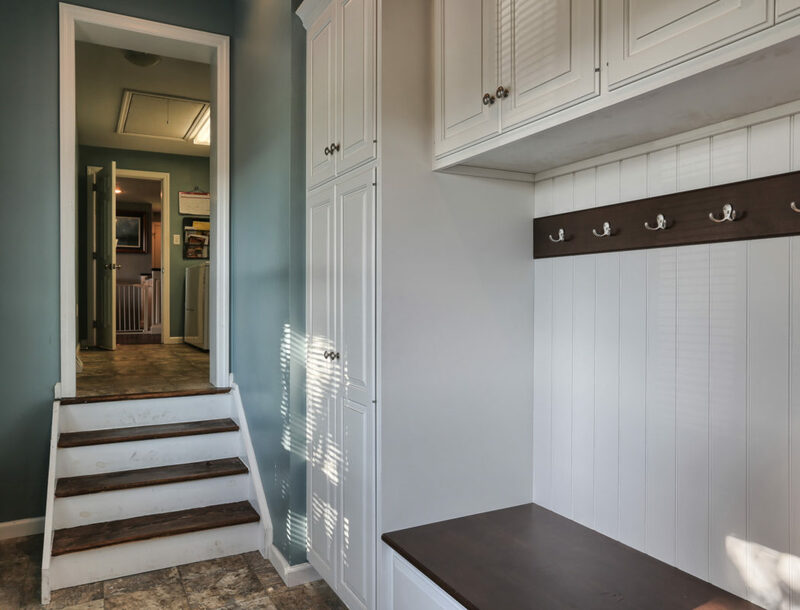 They also desired a shared patio area with the addition, but at the same time they wanted access to their backyard without going through the new suite. 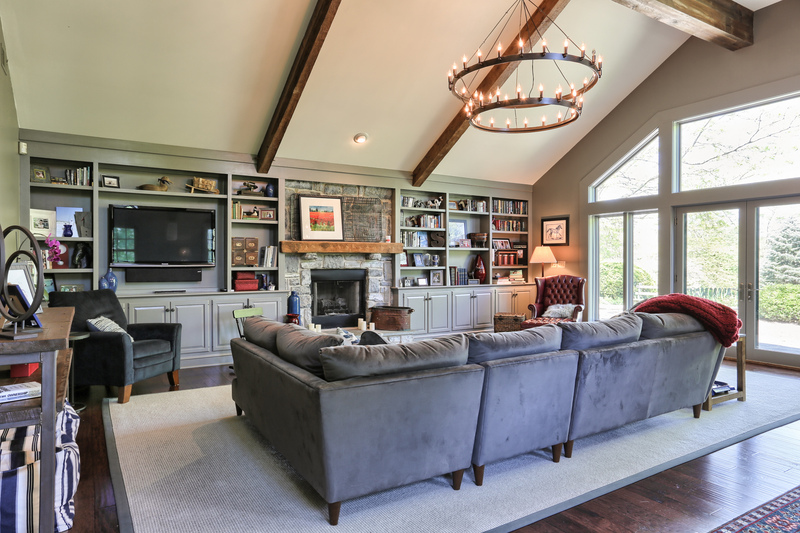 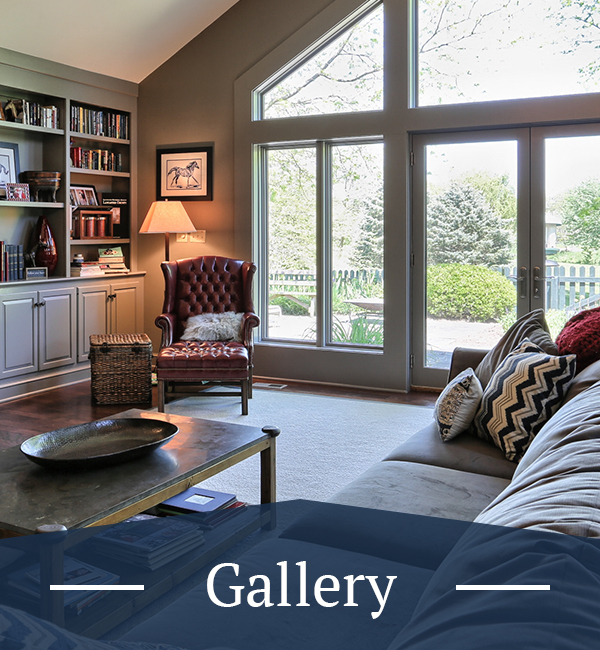 Tim Zehr, Senior Designer and Estimator for Metzler Home Builders, came up with a plan for Tom and Michelle’s home that was perfectly suited for them. 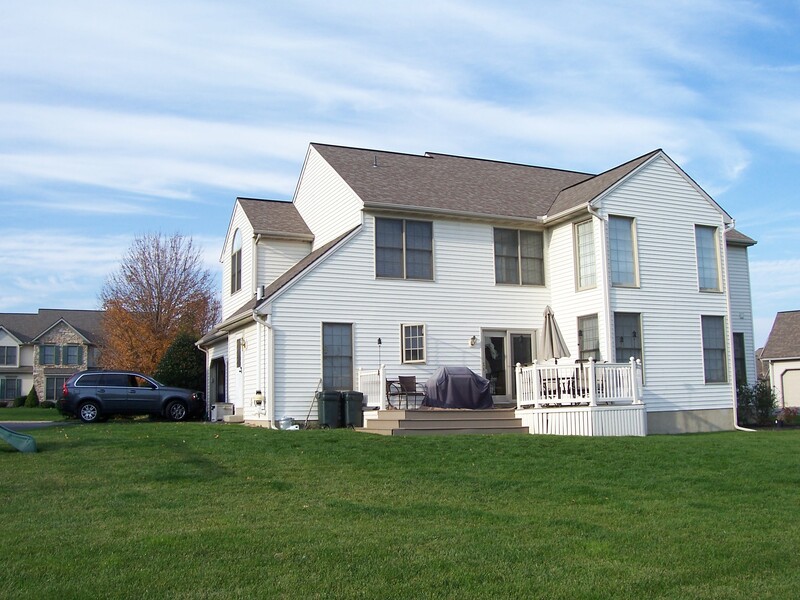 A suite was added off the right rear side of the house, enabling them to retain their existing view. 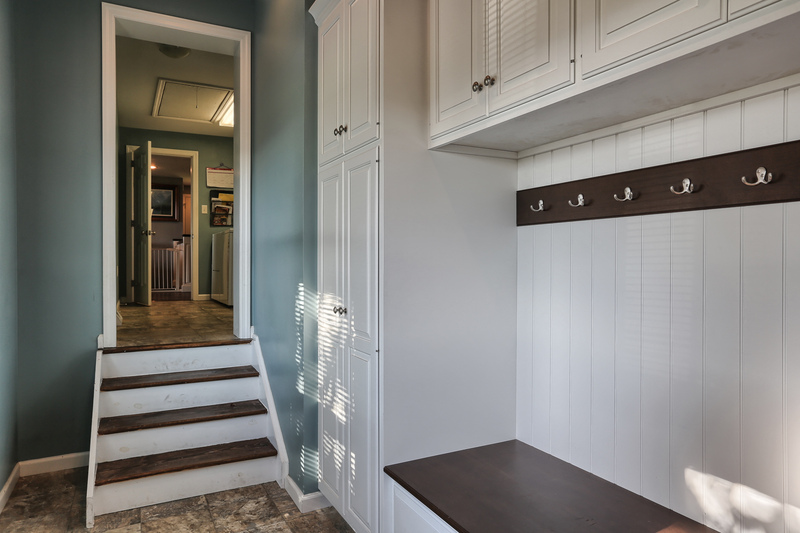 The mudoom/laundry of the main house was converted to a shared entry area that is angled with a welcoming porch. 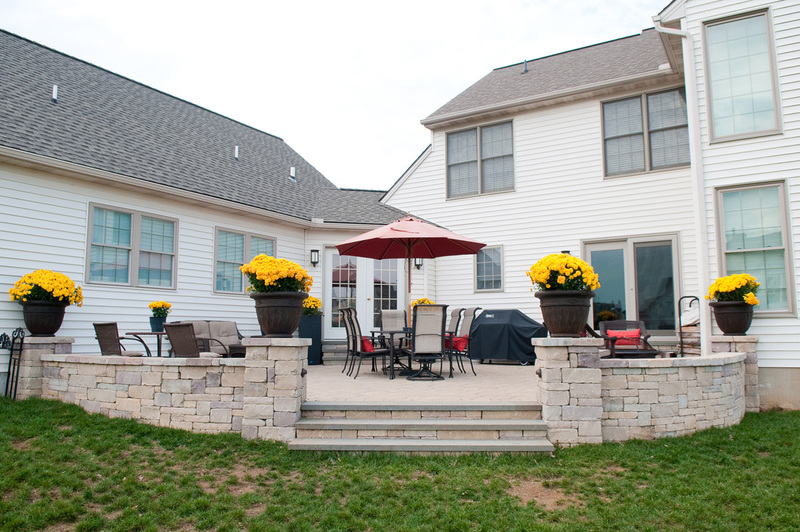 There is direct access from the shared entry to the new patio. 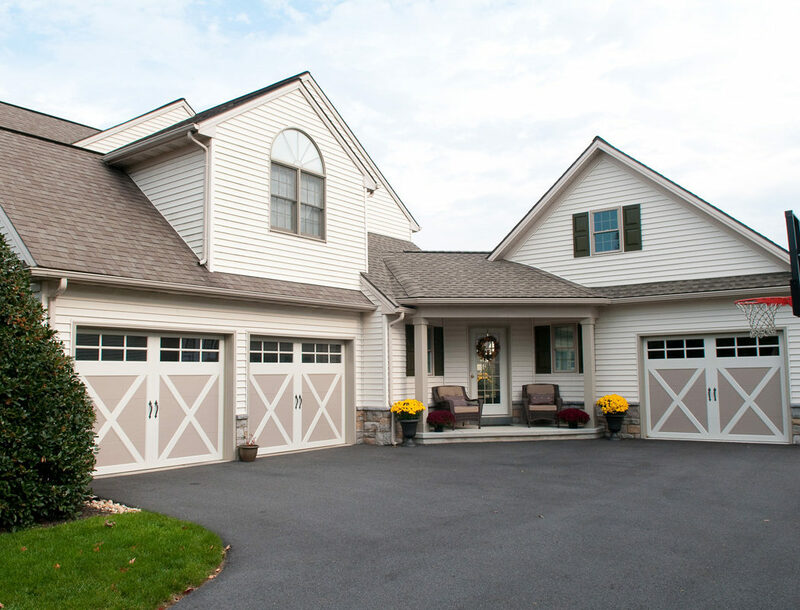 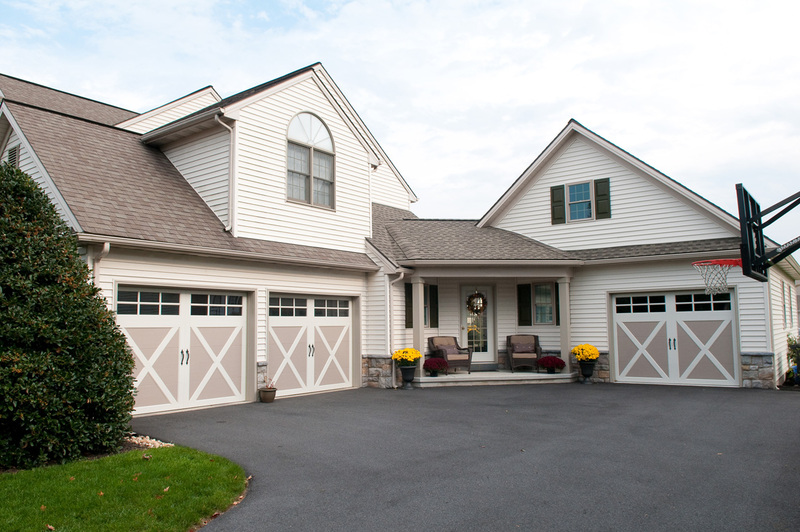 The existing garage doors were updated to match the addition, and stone was added around the garage and the new suite for architectural continuity. 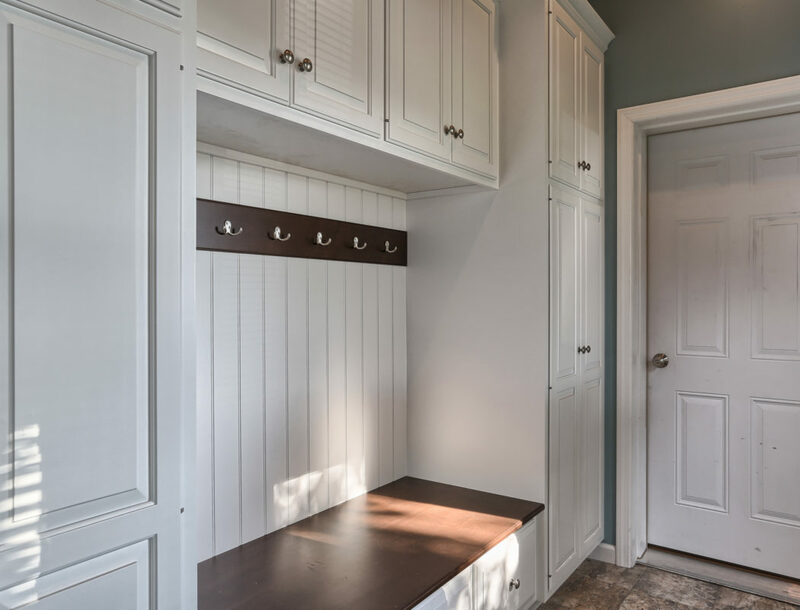 Tom and Michelle were delighted with the new space added to their home and achieved their end goal of having the suite separated from the owner’s residence for privacy, but still having easy access to the suite if necessary.